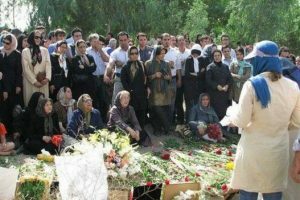 The body of Shamsi Aghdasi, a Baha’i citizen of Gilavand, was buried on October 24th. 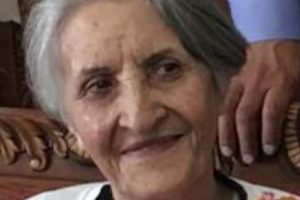 Four days later, the family was informed that the body of their mother had been found in the desert in the Jaban area in Damavand. 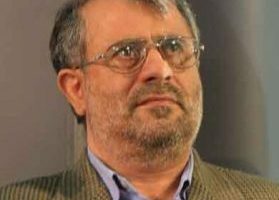 Security forces had warned Baha’is of Gilavand that they would no longer have the right to bury their dead in this city. The signatories of the statement called for an open investigation and prosecution of perpetrators and facilitators. “We, the signatories below, as a number of progressive Muslims, strongly condemn the ugly act of grave desecration and the excavation of the body of a lady who was one of our Baha’i compatriots in Iran. The weak response of law enforcement officers to this gruesome act is as shameful as the original act, and deserves a judicial investigation. “The perpetrators and facilitators of such an ugly act must be identified, arrested, prosecuted and punished publicly. The silence of the authorities in this tragedy is also worthy of condemnation. Respect for the bodies of the deceased from any religion, faith, or belief is a universal right, attested by common humanity, and is a moral and religious obligation of the entire world’s inhabitants in all civilizations and religions across the planet Earth. “The systematic and deeply rooted violation of Baha’i citizens’ rights, in particular denying them physical security, the right to education, freedom to work, freedom of religion, and insults to the sanctity of the bodies of their deceased, are all disgusting and disgraceful, especially when borne of ignorant religious prejudices. “These acts, besides being inhumane and contrary to religious and moral obligations, at the same time are anti-national, because they violate and undermine the collective solidarity of Iranians, the solidarity which underpins the national security of the country. Posted in destruction of cemetery, Public Support.